“My name is Michael Davis and I come from Frankston, a seaside suburb in Melbourne in Victoria. I am a physiotherapist. I assist in rehabilitating people with musculoskeletal, neurological and cardiopulmonary disorders. In order to help people get fitter again, I prescribe various types of stretching and strengthening exercise; I use special mobilization, massage and electrotherapy techniques; and I apply taping and aids and splints. 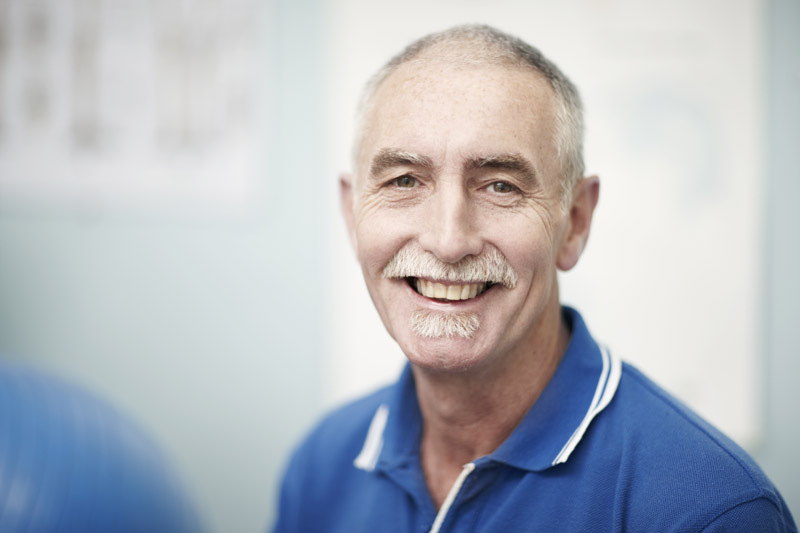 I graduated from the School of Physiotherapy in Melbourne nearly 35 years ago. Over the first ten years, I gained experience in a lot of different locations: I worked in large and small public hospitals, acute and rehabilitation, geriatric, mental health, city and rural, and I also worked in Private Practice in both suburban and country practices. After that I taught at the School of Physiotherapy in Melbourne for 6 years and at the same time commenced working at a large suburban hospital in Melbourne, where I remained for nearly 25 years. I first heard about NAHRLS in July 2011, when I was approached by one of their recruiting officers, Kate Sewell, and offered a position starting almost immediately. After that it was simply a matter of looking at their website and checking out what their aims were and what they were doing. NAHRLS was very new when I first joined. I chose to join for quite a few reasons. I wanted to start working for an agency that made it easier for rural physiotherapists to consider going on study leave and who would otherwise struggle to find locums to fill in. Sometimes, the physiotherapists can’t afford to let a practice run down while they are away and so not having a locum will not allow them to get away. At other times, it’s more a problem of not letting their local community down, so they won’t take leave, or can’t take leave, because the community will be without what is sometimes an absolutely necessary member of their community health team. I was also really interested to join because I wanted to work out in the country more after many years of working just in Melbourne. I love how country people are often really appreciative of the services of physiotherapists. The people are always so much more friendly and genuine and hospitable. And I love just being out in the country, enjoying the fresh air and slowing down a bit and getting away from the busy-ness of the big city. What I was looking for in my experience of working in rural areas was to feel appreciated. I was hoping that having many years of experience would be seen positively by both staff and patients. I was hoping that the community appreciated the fact that I was leaving my home and coming to serve them for whatever time was required, and that they were getting good value from me, including being a satisfactory replacement for their usual physiotherapist. I was looking for a varied experience, so that I would be able to bring a diversity of skills to bear. The process of application was quite straightforward. There was a credentialing process, which required that my CPR training was up-to-date (it was), that I was registered, that I had adequate professional indemnity insurance, that my professional development record was up-to-date and suitably comprehensive, and that I had good professional referees. The process by which I have got locum work through NAHRLS has also been quite straightforward. I have either received emails or phone calls directly relating to positions, briefly explaining the positions, where they are located, for how long, and inviting me to apply if I am interested. There have been quite a lot of positions available and I have found it easy to get locum work through NAHRLS. Apart from my recent placement in Apollo Bay, which is my second time, I have been placed in Mt. Barker in Western Australia, Mt Isa in Queensland, and Lorne in Victoria. All the experiences have been interesting and really rewarding. I liked my Mt. Barker, Lorne and Apollo Bay experiences a lot because I was the sole physiotherapist in each of these communities, so I felt a lot more responsibility in ensuring that I diagnosed and treated people to the best of my ability. My Mt. Isa experience was very different to the others because I was a member of a large multi-professional allied health team, and it required a lot more regional travel, staying out in remote communities, and oftentimes a lot more work with indigenous people. So there was often a feeling like I was a travelling physiotherapist, working out of just a kit bag, and also having to be a lot more flexible as well as proactive in the way I spoke and dealt with, and reacted to, people of different cultures. 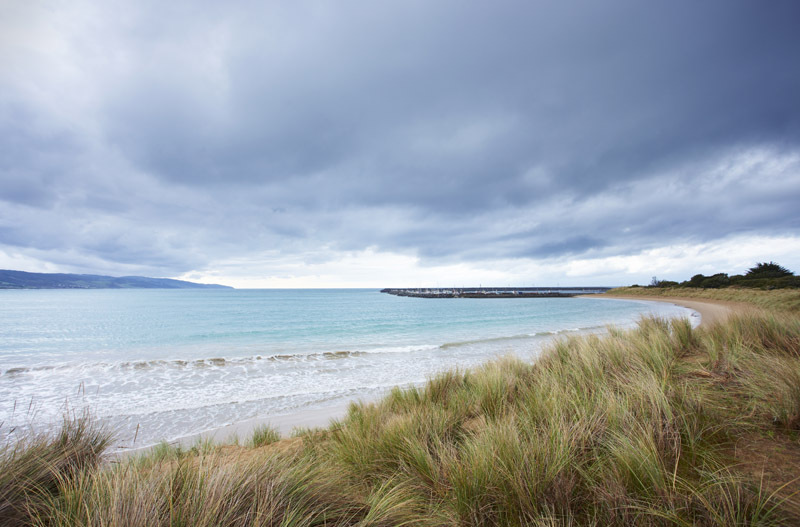 Apollo Bay is great location, very pretty part of the country, very green hills, good pasture, beautiful seaside and friendly beach. I worked at Otway Health in Apollo Bay. There is a really supportive manager, Max, proactive in utilizing the facilities services to better the health of local communities up and down the coast. Our receptionists, Christine and Jessica, always made sure the appointment book is maintained well and there was a good system to help make sure I don’t get too far behind with my appointments during the day. And they made sure there were times put aside to make sure the clients in the nursing home and hostel who need to be seen get enough time. There is a really good Allied Health Assistant, Louise, employed there, who helps keep an eye on maintaining exercise programs prescribed by the physiotherapist for the nursing home and hostel clients. Besides which, she is always interested in learning more so we’d join together sometimes to assess and talk about some of the clients. The rewards and incentives for me are just getting out into the country and helping these people as much as I can and at the end of the day if I have people thanking me for my work then it makes me feel as though it’s been all worth it.